Hair is the first thing. And teeth the second. Hair and teeth. A man got those two things he's got it all. Help yourself, so you can help someone else. I taught them everything they know, but not everything I know. I would warn against anyone marrying a person with more than a ten- year age difference. It almost never works. It is difficult to find things to talk about, to use similar reference points, and to operate at the same speed of life. Another problem is that both sides usually don't want the same things at the same time. It doesn't matter how you travel it, it's the same road. It doesn't get any easier when you get bigger, it gets harder. And it will kill you if you let it." My expectations of other people, I double them on myself. Sometimes you struggle so hard to feed your family one way, you forget to feed them the other way, with spiritual nourishment. Everybody needs that. 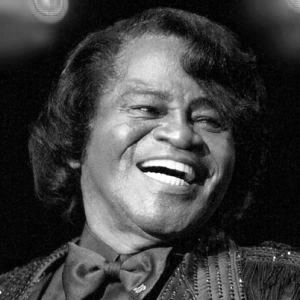 The hardest thing about being James Brown is I have to live. I don't have no down time. The real answer to race problems in this country is education. Not burning and killing. Be ready. Be qualified. Own something. Be somebody. That's Black Power. This is an issue (having children) couples have to be straight on and agree on before they walk down that aisle; otherwise there is no way their marriage will survive. To make it in life, you and your wife need to be in the same business. That has been my problem all along. My wives didn't know what I was doing. I would come back home from the road to a stranger. That's no good. When I'm on stage, I'm trying to do one thing: bring people joy. Just like church does. People don't go to church to find trouble, they go there to lose it. You can't teach others if you are living the same way.